The ICT in Schools programme was established by the Department of Education in 1998 with the purpose of integrating ICT into teaching and learning and developing pupils’ digital literacy. If you wish to avail of ICT funding, the bad news is there is no ICT infrastructure grant scheme at present. The good news is you can spend other grants on ICT equipment. The Minor Works grant provides funding for all primary schools. The money must be spent on physical infrastructure including ICT related equipment such as computers, printers, projectors, IFS and photocopiers. Schools do not need to apply to the dept. for approval as to how the money is spent. The grant is €5,500 basic and €18.50 for every mainstream pupil and €74 for every special needs pupil. Full details of the grant can be found on the department’s website. 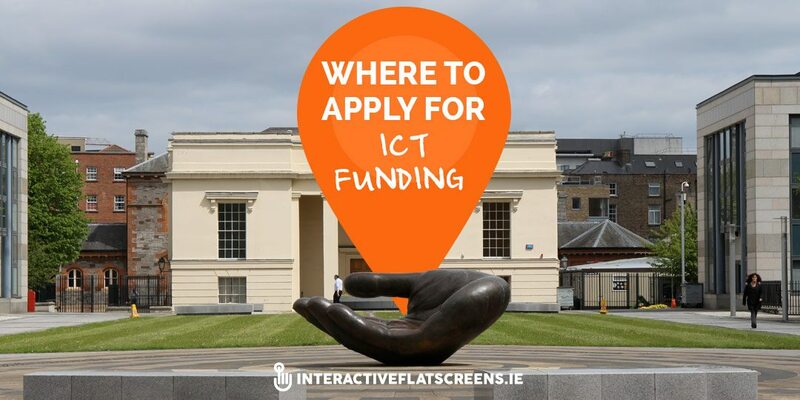 ICT funding is also available via the department’s planning and building unit. It only applies to new classrooms and new schools. The unit’s functions include prioritizing the allocation of resources. Although it is primarily concerned with student accommodation, the department’s website makes it clear that ICT related equipment can be included as part of the unit’s spending. There are also dept. funded training programmes for teachers. These are provided by the PDST (Professional Development Service for Teachers). Courses and other professional development opportunities are available to support ICT integration and help develop e-Learning. Full details can be got at the PDST website: pdsttechnologyineducation.ie. All courses are free and can be delivered online or face to face. 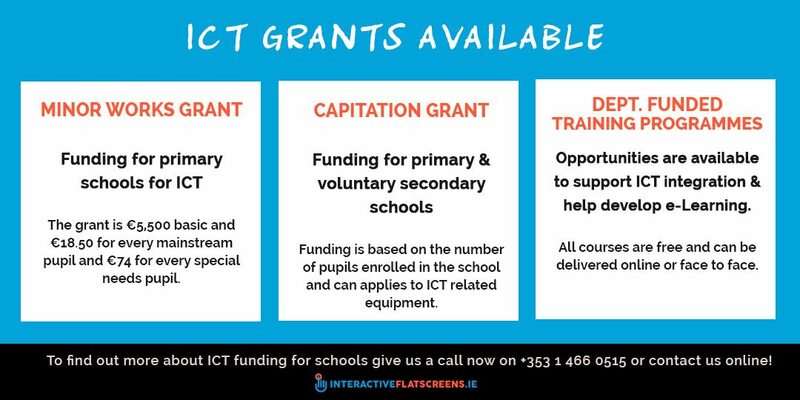 If you are looking to avail of some ICT funding and have any questions about how to apply then feel free to give us a call on +353 1 466 0515 or contact us online. If you have already received ICT funding then check out our range of ICT for the classroom!